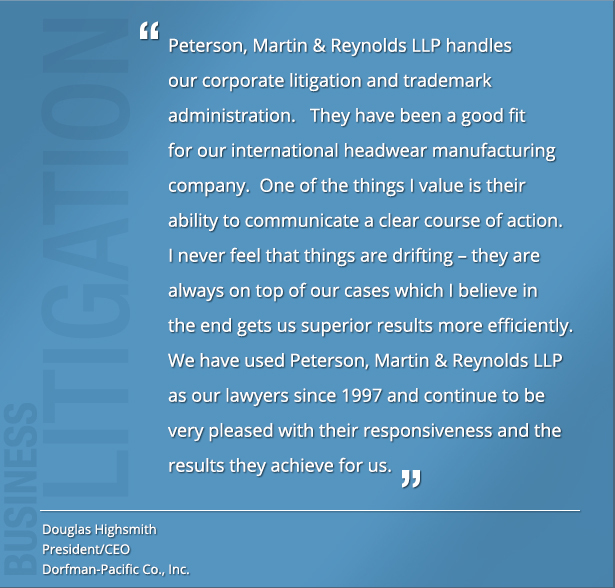 The attorneys at Peterson, Martin & Reynolds LLP pride ourselves on working with our clients to develop clear strategies for delivering the best solutions to their business disputes. With regard to an opponent, this may require quick resolution or could involve lengthy and contentious battling. Regardless of the strategy, we use our sophisticated capabilities to serve a primary goal: to protect and enhance the clients’ business interests.